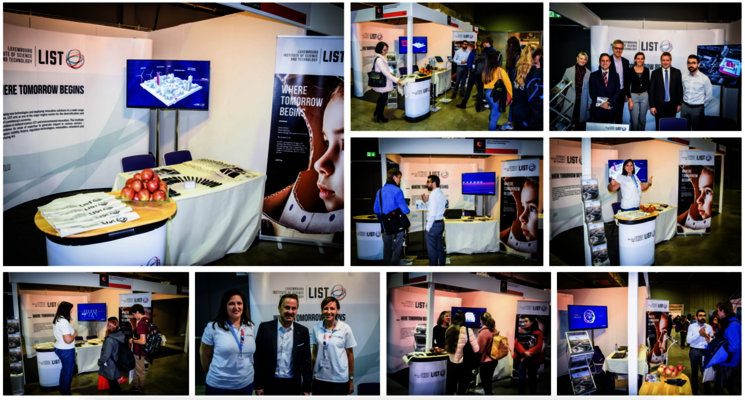 On 8-9 November 2018, the Luxembourg Institute of Science and Technology (LIST) participated in the Luxembourg student fair organized by the “Centre de Documentation et d' Information sur l'Enseignement Supérieur" (CEDIES) of the Minister of Higher Education and Research at Luxexpo, Luxembourg-Kirchberg. The Student Fair is a major annual event that focuses on informing students about their opportunities for higher education. 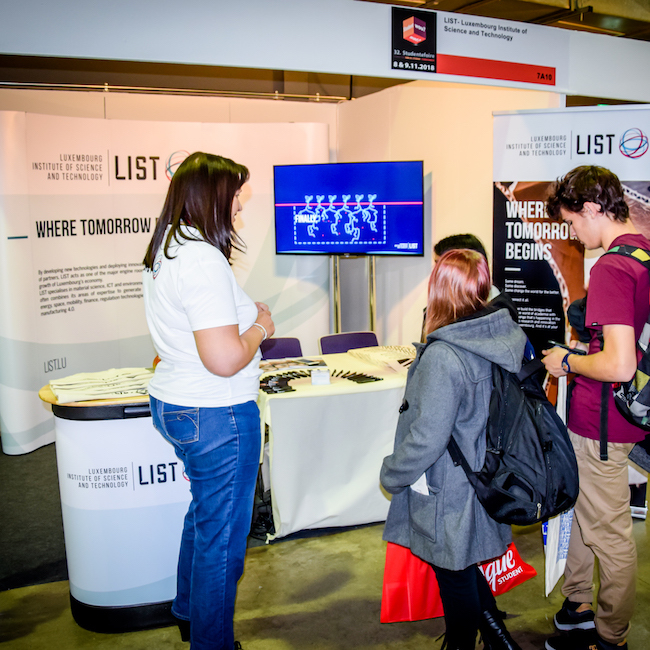 Alongside more than 250 exhibitors from different countries, LIST held a stand presenting its activities in IT, materials and environmental research in a comprehensive manner, with a focus on the possibilities offered to students in terms of internship for Bachelor, Masters or PhD programmes. Visitors were able to find out about the different options available to LIST employees on the booth. The Institute also had the pleasure of receiving the visit of Xavier Bettel, Prime Minister, as well as members of the government. See you in 2019 for the next time ! 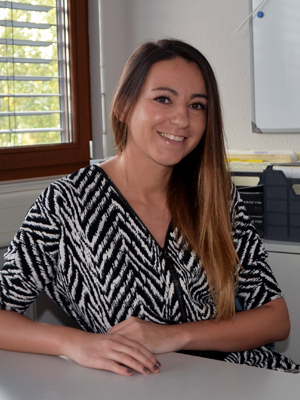 In the meantime, LIST invites young researchers to follow the activities of its researchers on social networks. > Visit LIST's photo gallery to see all pictures.